SPOILER WARNING: The following article discusses the ending to Teenage Mutant Ninja Turtles: Out Of The Shadows. So if you want to go into the film without any prior information then you probably shouldn't read ahead, and should instead click onto one of our other fine articles. While some comic-book franchises like to steadily drip out their villains over a number of films, Teenage Mutant Ninja Turtles: Out Of The Shadows has gone for broke by including five of the most popular baddies from the series’ storied past. Not only does Shredder return but we’re introduced to Dr. Baxter Stockman, Bebop, Rocksteady and Krang in the sequel, too. As any of you who grew up watching the animated Turtles series knows, Dr. Baxter Stockman turns into a half-man, half-fly hybrid. And now Tyler Perry has teased that very well may be the future of his character if Teenage Mutant Ninja Turtles 3 happens. Since Teenage Mutant Ninja Turtles: Out Of The Shadows includes such a strong roster of Turtles villains, the franchise is going to have to do something special to up the ante if a third film is green-lit. Making Dr. Baxter Stockman a half-man, half-fly hybrid would do just that, especially if Tyler Perry is given free reign to be even more psychotic in the role. For the time, though, in Teenage Mutant Ninja Turtles: Out Of The Shadows, Dr. Baxter Stockman teams up with The Shredder (Brian Tee, who replaces Tohoru Masamune from the first film) to take on Leonardo, Raphael, Michelangelo and Donatello. The pair use a Retro-Mutagen to turn the criminals Bebop (Gary Anthony Williams) and Rocksteady (Stephen Farrelly) into their very own mutants. Things get even worse for the Turtles when Krang (voiced by Brad Garrett) sparks an extra-terrestrial invasion above New York City. 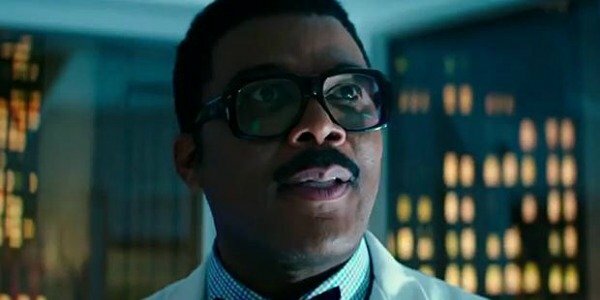 You can check out a small clip of my interview with Tyler Perry where he discusses possibly returning as Dr. Baxter Stockman in fly form in Teenage Mutant Ninja Turtles 3 below. You’ll be able to check out Teenage Mutant Ninja Turtles: Out Of The Shadows yourself when it’s released on June 3, where it will be looking to match the $493.3 million gross of its 2014 predecessor.